The Grove intensive Designing and Leading Change that David Sibbet and I lead explicitly explores how to identify and shape crucible-type situations and events in larger change processes. The Liminal Pathways Framework which we introduce in this three-day workshop indicates the crucible phase as the center of the transformative process—at the threshold or place of transition where one is no longer the old and not yet the new. 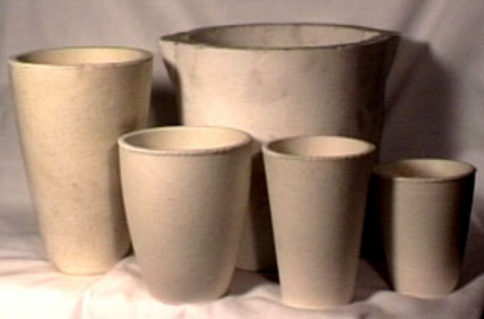 In chemistry, crucibles are used to melt metals and combine elements under strong heat. 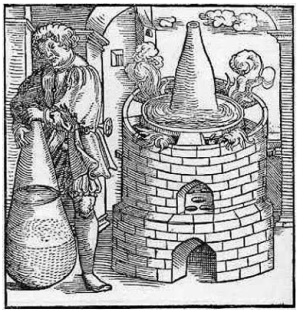 Alchemists used crucibles in an attempt to turn base metals into gold, and they explored how their own magical interactions might cause a transformation to occur. 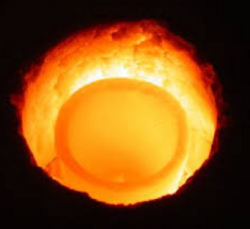 So the crucible has become a metaphor for human containers (or processes) that can handle a great amount of tension – generative and challenging – for a shift or for something new to occur. The container needs to be strong, and at times also malleable and flexible, depending on what is needed. Life offers us plenty of opportunities to experience crucible-like situations. At times we can avoid them and dance around them, while other times we get burned. But usually there is no other way than somehow ‘getting cooked’ as part of the change we are in. As change agents, often our work is to help groups step into the crucible, make the most of it, and come through it on the other side renewed. I would like to share a story that I also talked about during the videoconference. 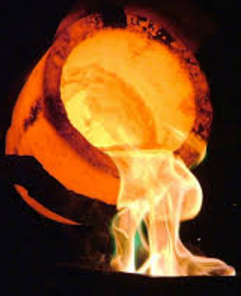 It shines further light on my understandings of crucibles and their role in our practice as change agents. David and I were working with a department of over 200 employees. We had been brought in to do strategic visioning and to address several organizational effectiveness issues. In our initial scoping of the project it became clear that this would entail several larger meetings between 40 to 70 people as well as intensive work with the project leaders and a design team. The project leaders shared with us that their department had recently experienced a major loss, a traumatic death, and that the group needed to heal from this loss and what had transpired within the department since then. The impact that this situation had generated, especially for those whom the person had worked closely with, was overwhelming. Tensions mounted around how the sequence of events had been handled, resulting in blame and finger-pointing. The organization’s intention to focus on the future by generating a new vision and address several organizational issues seemed especially important at this time. However, it is difficult to refocus when a group is mired in a spiral of negative feelings and hurt. We were asked if we could help address the loss, blaming and fragmentation so the group could move forward. As part of the initiating the change effort, David and I met with a change team of about 10 employees to begin designing the large-group visioning and organizational effectiveness sessions. We suggested that some kind of symbolic activity be included in the first large-group meeting as a path for releasing the tension and mistrust. Our sense was that acknowledging the loss through a small ritual led by neutral facilitators would support the group to begin working with the issue in a new and low-risk way. At a minimum we would have created the space for people to acknowledge their sense of loss. Often this is enough to create a shift. If the group wanted to process this further, we would support this through stories and a well-facilitated process—in other words, in a crucible. Surprisingly, when we shared our suggestions with the design team, the group fell into silence. The tension was palpable. Suddenly we had shifted out of a fairly animated meeting to total quiet. After a while, a few remarks were made. In essence we were told by some individuals that this was not a topic that should be brought up in the large meeting and that the feelings related to this were too intense. At that moment both David and I were at a choice point. Should we trust our instincts or should we delay until a later time, when it might come up organically but perhaps in unpredictable and more challenging ways? We each chose to speak to the importance of acknowledging the losses and taking the necessary steps that would support healing and renewal to occur. We hoped they might still support a process in the larger meeting. When I spoke to the group I shared the following story about a grieving ritual used by a Native tribe in Canada. When someone in that tribe has died, the tribe comes together to support the whole family to let go and to stay with the living rather than staying with their grief and loss. A large rope is placed in the center of the circle. On one side of the rope is the family and on the other is the tribe. The family’s task is to hold onto the rope with all their strength as they would hold onto the life of their beloved family member. This holding on is their expression of their love for the deceased and the grief that comes with accepting the loss and letting go. Of course, the tribe with just a bit more strength pulls the family towards the other side of that grief. After I told the story, several people began to speak quietly about the loss of their co-worker and the pain that was the reason they didn’t want to go into it any further. Then one woman laid out in some detail just how upsetting this whole situation had been. She spoke their truth. Some quiet tears were shared. It became clear that the opening we had in mind for the large-group meeting was occurring in the design team. We let it flow. It turned out that the people in the design team who had been most reluctant about including a small ritual in the large group became our most helpful advocates for the larger project. We never included a symbolic act to acknowledge the passing of their co-worker. However the few times this issue came up, it was talked about with relative ease. The tension had been resolved. Thank you for giving us a window into your work Gisela! I found the story about a grieving ritual used by a Native tribe in Canada to be especially powerful. We do need to grieve fully and let others to pull us back life.